Could we soon see 18-year-olds behind the wheel of interstate trucks? A companion bill to the DRIVE-Safe Act was introduced in the House of Representatives earlier this year by three Republican Senators. Essentially, the new bill would lower the age requirement for interstate truck drivers to 18 if certain conditions are met. Senators Todd Young (R-IN), Jerry Moran (R-KS), and Jim Inhofe (R-OK) introduced the bill to address the alarming shortage of truck drivers in the United States. The bill outlines a training program created under the Developing Responsible Individuals for a Vibrant Economy Act that allows CDL holders under the age of 21 to engage in interstate truck driving. The apprenticeship and training for younger drivers will act as a preemptive screening to verify their ability to safely operate a commercial semi-truck beyond current standards. Members of Congress intend for the bill to address the current shortage of drivers, while also implementing more strict safety standards and performance benchmarks for the industry as a whole. According to the bill, drivers under 21 in the apprenticeship need to complete at least 400 hours of on-duty time, while also logging another 240 hours with an experienced driver. Another aspect of the safety provisions in the Senate bill requires safety technology in all of the trucks used during training. This includes active braking collision mitigation systems, a video event recording system, and a speed limit set at 65 mph or lower. Sen. Inhofe said he intends for this new bill to expand opportunities for all CDL holders by allowing them to participate in interstate commerce to resolve the driver shortage, while also improving transportation safety for the entire industry. Industry estimates reveal there is currently a shortage of about 50,000 drivers in the U.S. The new Senate bill passed the House of Representatives and currently awaits a vote in the Senate. This act could help reduce capacity issues for interstate commerce by allowing drivers under 21 to expand their routes. Whether this act will solve the issue of recruiting more interstate drivers remains ambiguous. 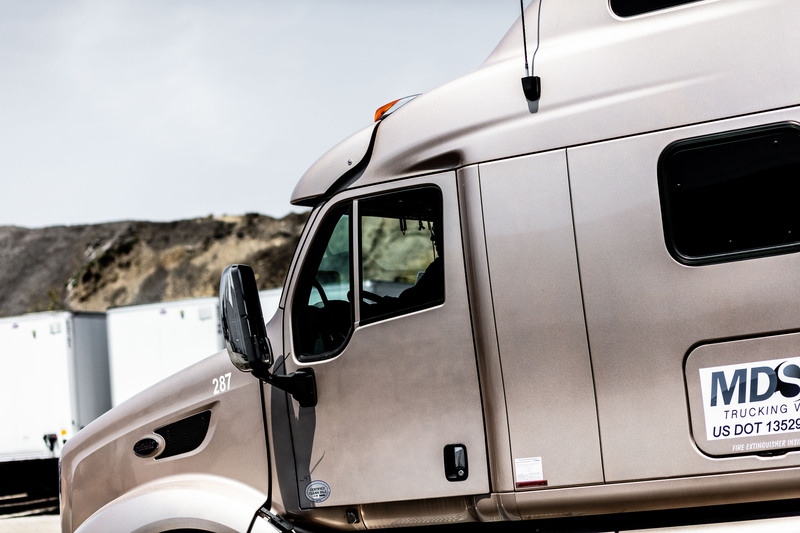 According to data from the American Transportation Research Institute, in 2013, a mere 5% of the truck driving workforce was 24 years old or younger. Aside from this Senate bill, the Department of Transportation has also expressed interest in getting around the current age limit for interstate drivers. Officials recently released details of a pilot program to allow military veterans under 21 with the equivalent of a CDL to engage in interstate transportation. What do you think? Should drivers 21 and younger be allowed to engage in interstate truck driving? MDS Trucking V is one of the nation’s leading dry and specialized freight transportation service companies. We pride ourselves in providing the best technology for our interstate drivers to ensure customers’ shipments arrive on time safely. With over 2,000 customers, we have become one of the fastest growing companies in this industry. Here at MDS Trucking V, we are always looking to add to our team of talented and dedicated drivers. We operate in all of the 48 Continental States in America and employ company drivers as well as owner-operators. Please complete our online application to work for one of the fastest growing transportation logistics companies in the nation.